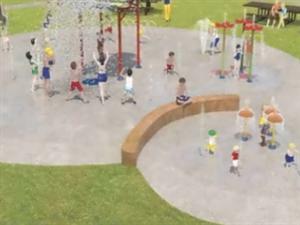 Livingston Rotary's current project involve plans to build a Water Spray Park at Mike Webb Park, otherwise known as "G" Street Park, in Livingston, Montana for the use and enjoyment of everyone. The WaterSprayPark will provide delight for locals and travelers alike; for children, parents and grandparents. The Park will be ADA and DDA compliant to ensure accessibility and fun for those individuals with special needs. The City of Livingston has provided an appropriate location in "G"StreetPark, located on the southeast side of Livingston. This area has ample room for the WaterSprayPark and a playing field. The completed RotaryWaterSprayPark will include the sprayground, picnic pavilion, restroom facilities, parking area, and a grass playing field.